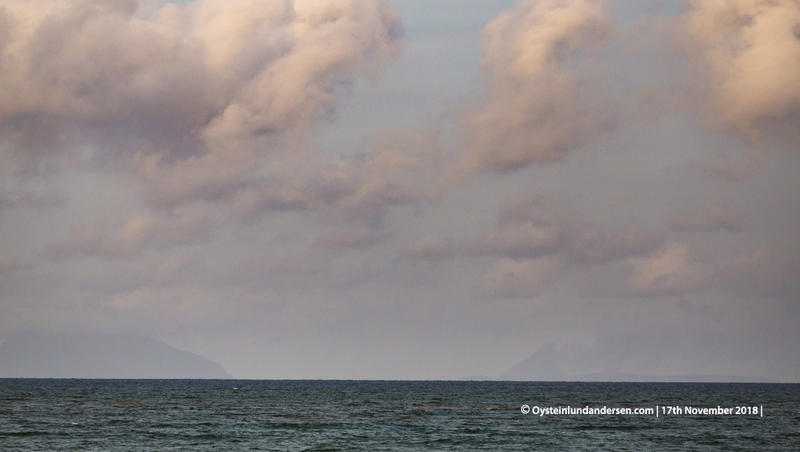 On arrival at Anyer (47km) from Anak-Krakatau, I spent some time locating the volcano on the horizon on the Sunda-Strait. 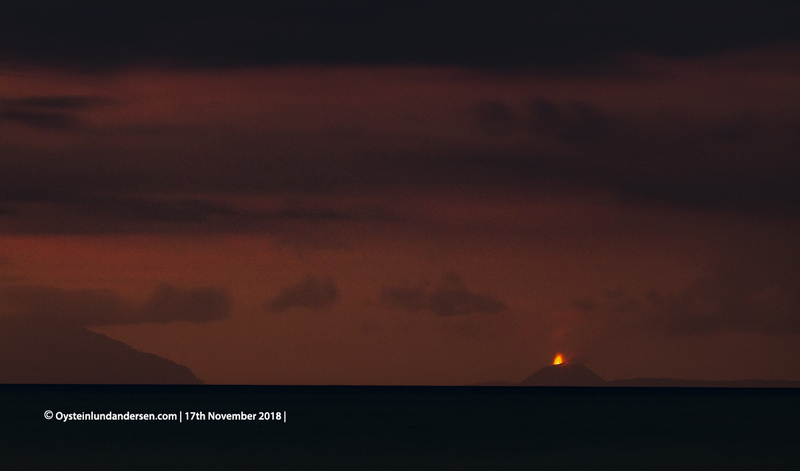 Anak-Krakatau were not continuously erupting, and without any Incandescence lighting up the volcano, it was challenging to spot it during the night. 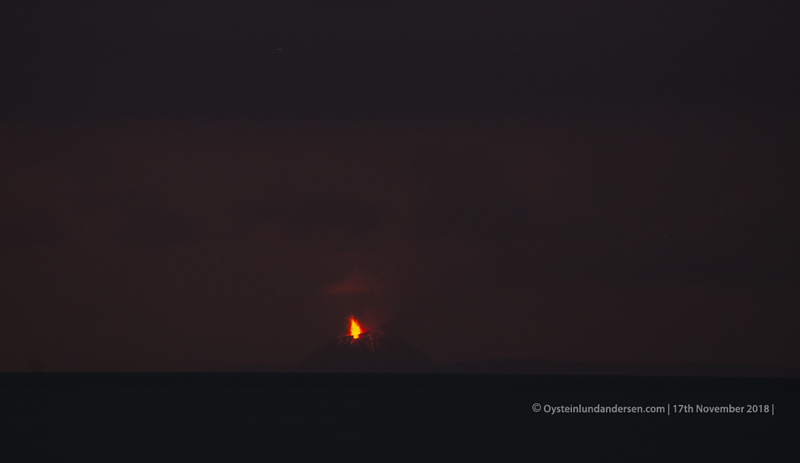 At around 01:30 I spotted Incandescence from an eruption, and a developing ash-cloud, and were able to pinpoint my camera. 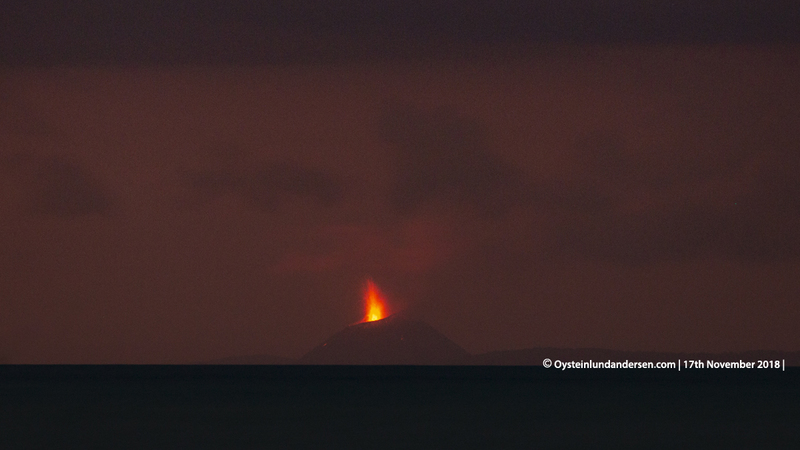 The next eruption occurred at 02:05 local time. 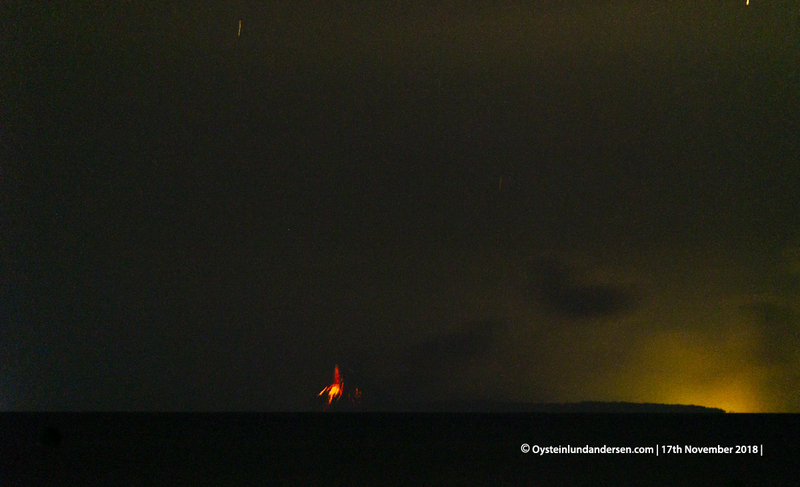 It was a one time explosion, that seemed to were accompanied by volcanic lightning (see photo 1). The next explosion occured at 02:13. 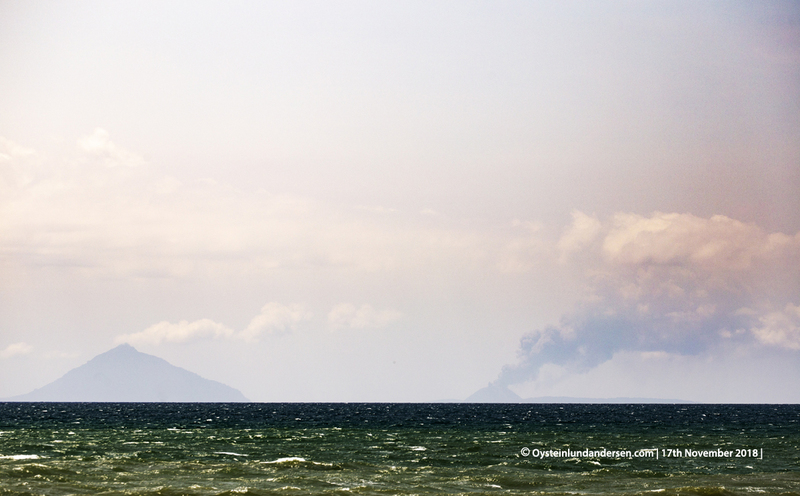 Both produced ash-clouds, that were drifting north. 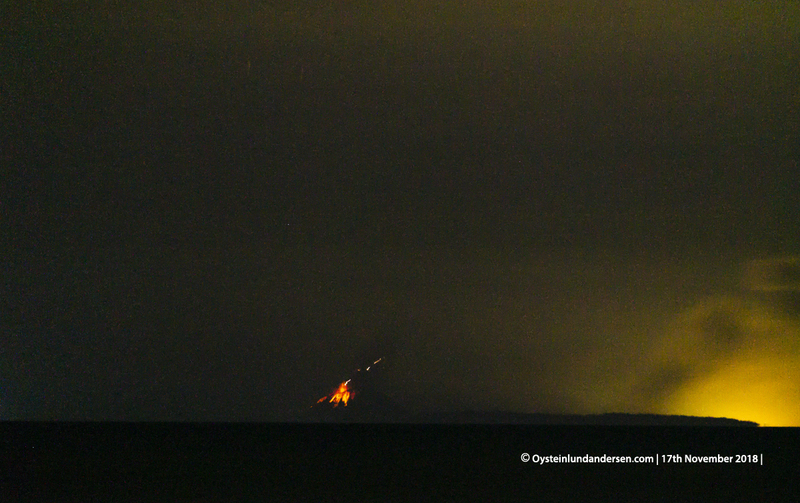 In the hour after this no other explosions were seen, until I left my observation point at around 03:00. 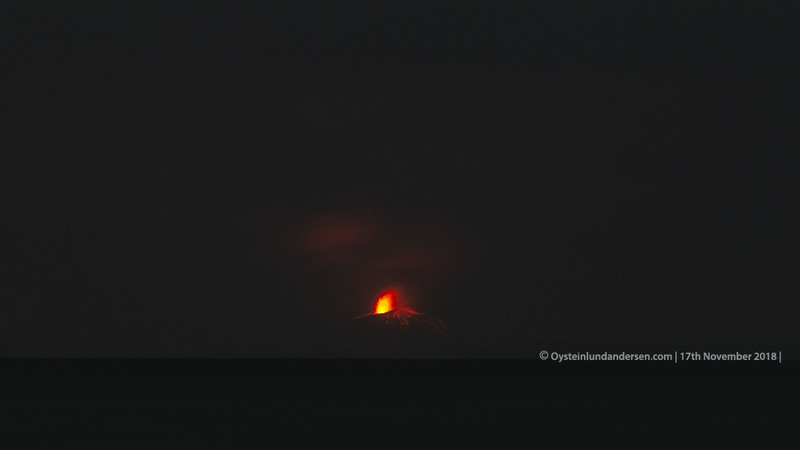 At 05:45 I was observing again, however the views towards Krakatau was not great as it was quite hazy. 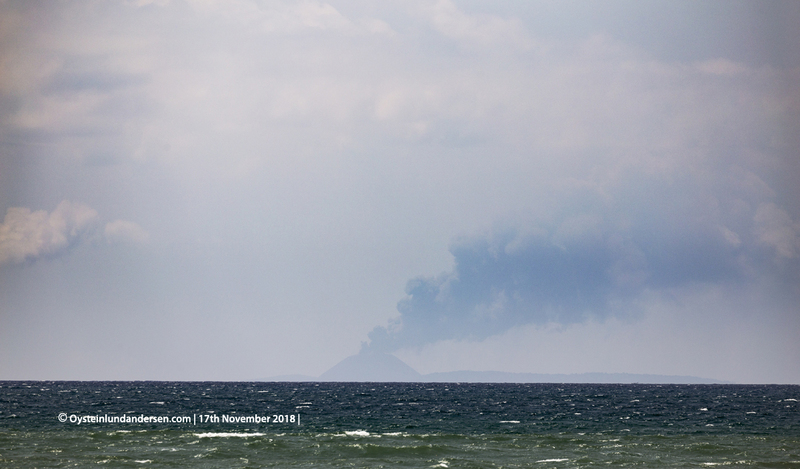 However when observable, a small dark plume was spotted above Anak Krakatau (photo 3.). 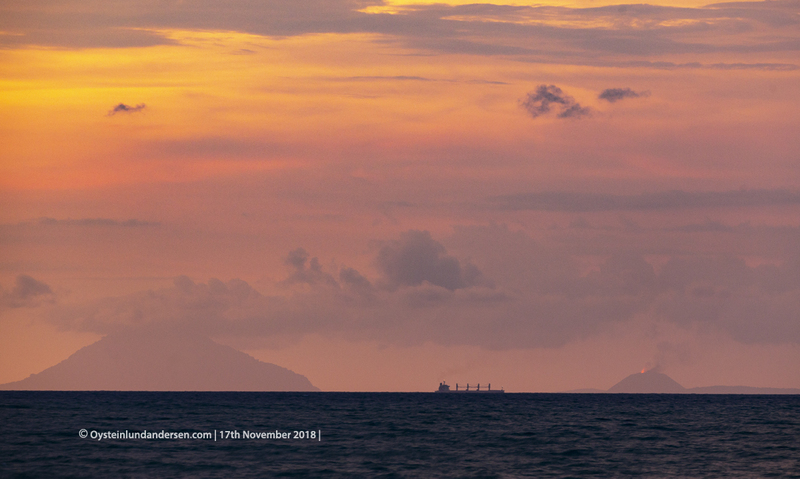 Because of the hazy conditions I ended my observation at 06:30. 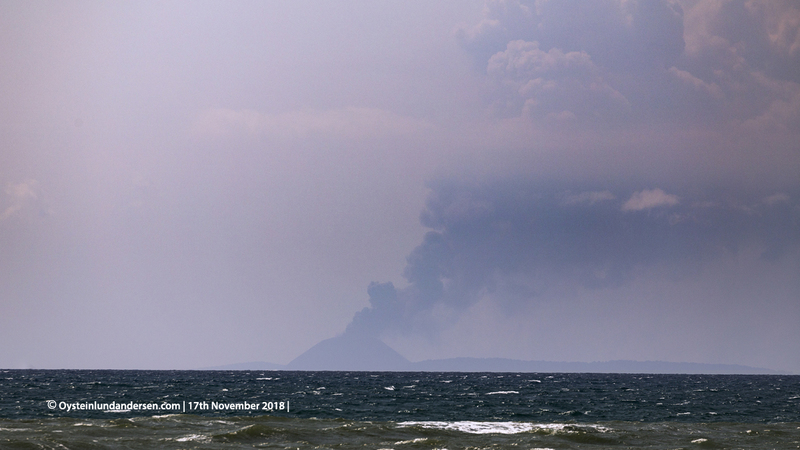 Later in the day at 12:55 clarity became much better, and it was now obvious that Anak-Krakatau was emitting a dark grey plume that seemed to be ash-rich. 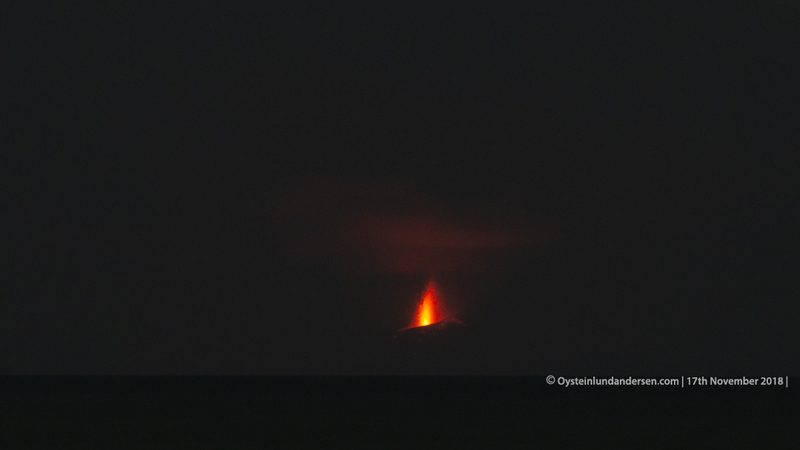 The plume was sustained and probably reached heights over 1000m, and drifted North. (see photo 4-10.). 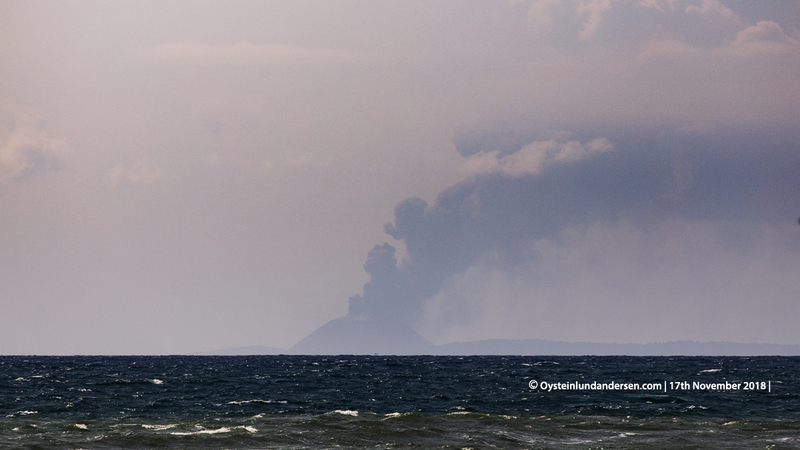 At around 15:30 activity seemed to decline, and the ash-plume faded away. 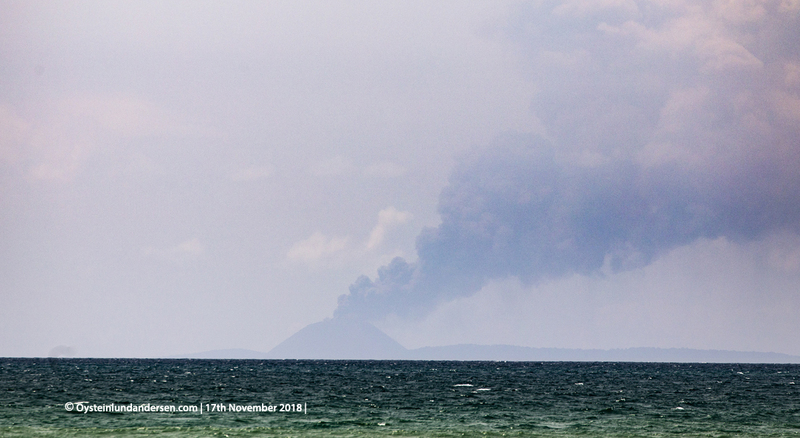 However at 18:00 activity picked up again, with what seemed to be continuous explosions without any noticeable ash. 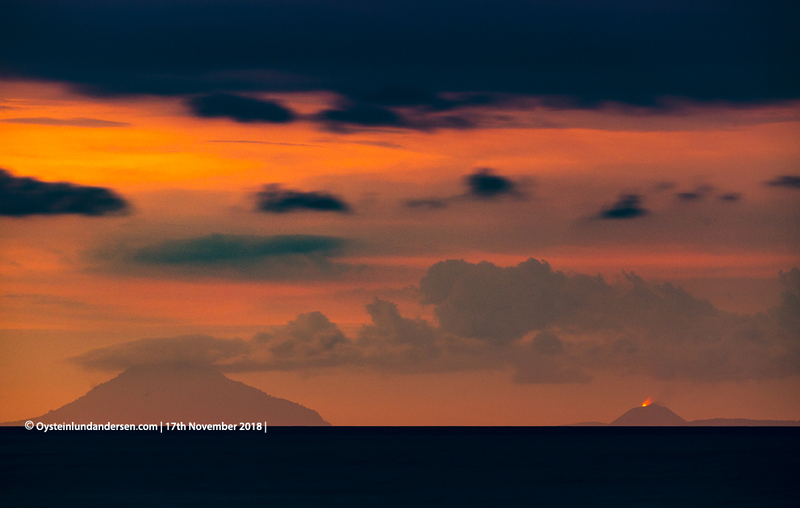 After sunset, Incandescence was clearly visible to the naked eye. 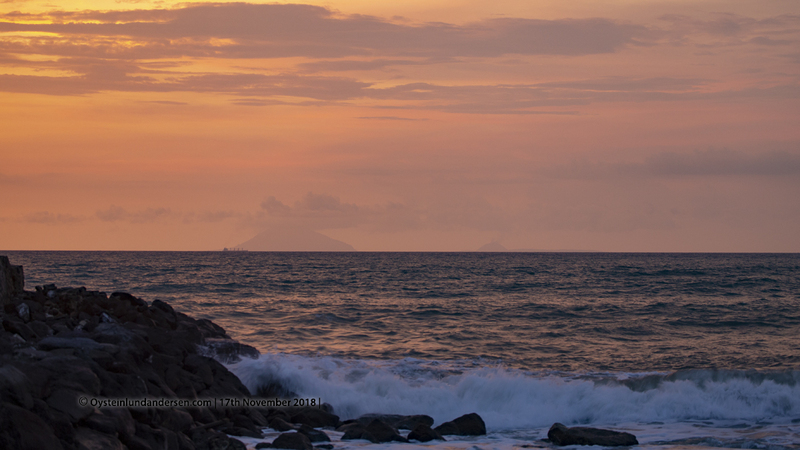 (see photos 17-29). 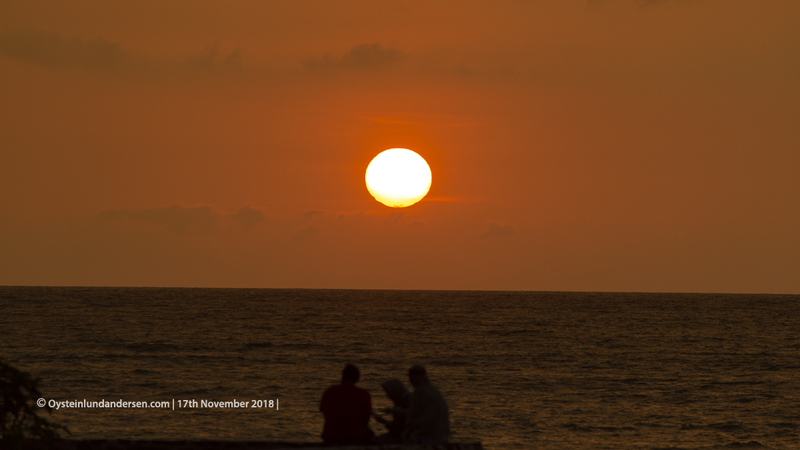 The explosions and Incandescence from the explosive eruptions was emitting a red beaming light that got strong-weak in pulses of a few seconds. 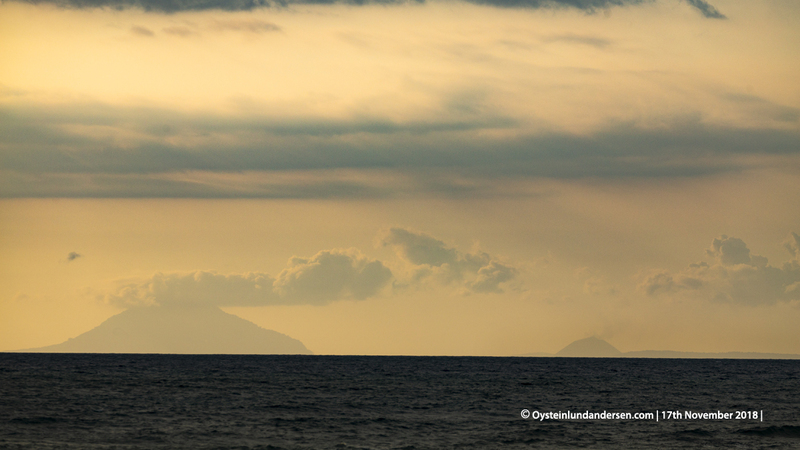 The light almost looked almost like light from a lighthouse on the hotizon of the Sunda-Strait. 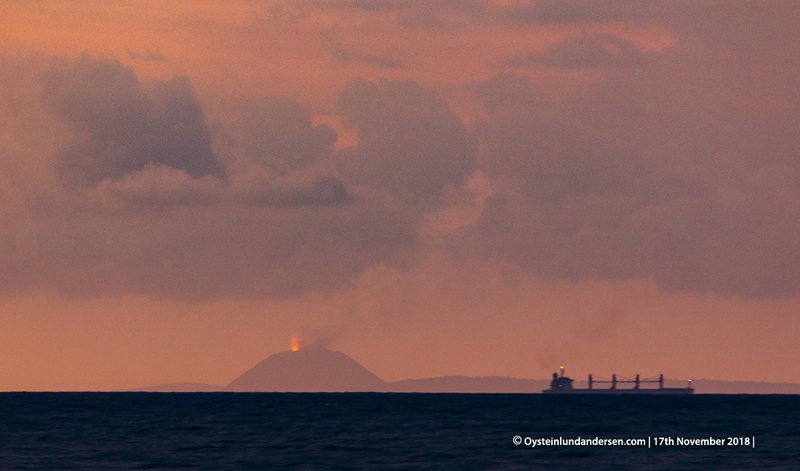 Occasionally low hanging clouds above Anak-krakatau became enlightened from the light of the eruption. (see photo 26-28). 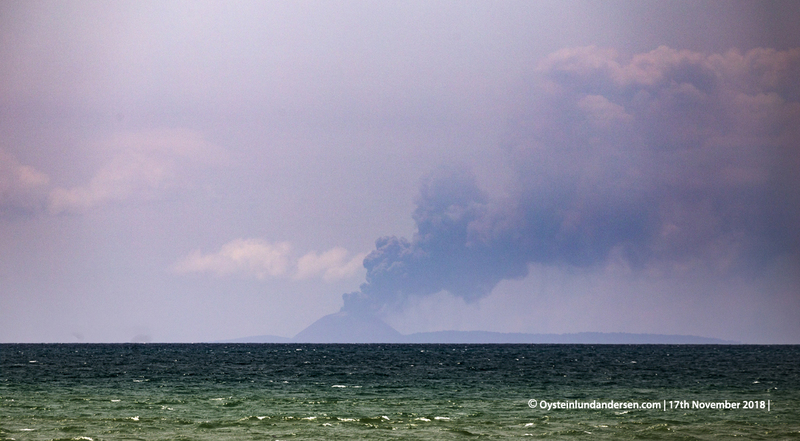 No sounds from the eruption were heard on my observation point, 47km away from Krakatau. In July 2018 (see report here) during a relatively similar experience when observing the eruption of Anak-Krakatau, heavy sounds were heard at this distance and windows/walls were occasionally vibrating. I suspect the reason no sounds were heard this time, was that the activity during my observation from the coast in July were stronger. 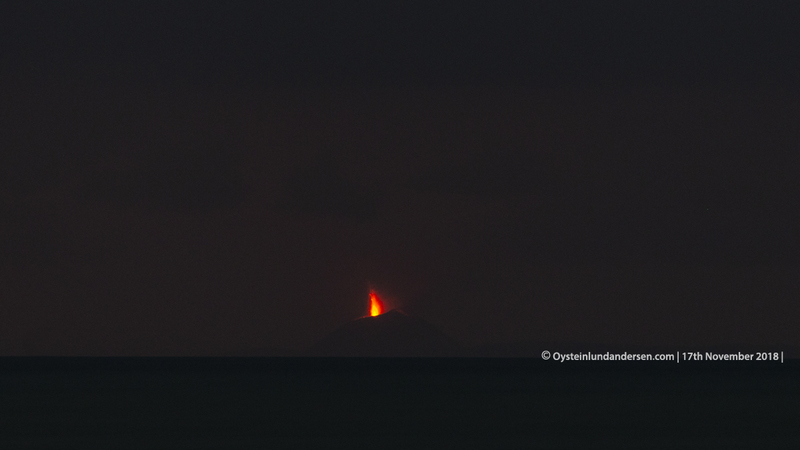 During the eruption at that time, lava from the eruption was seen forming a lava-flow to the South that reached the ocean. 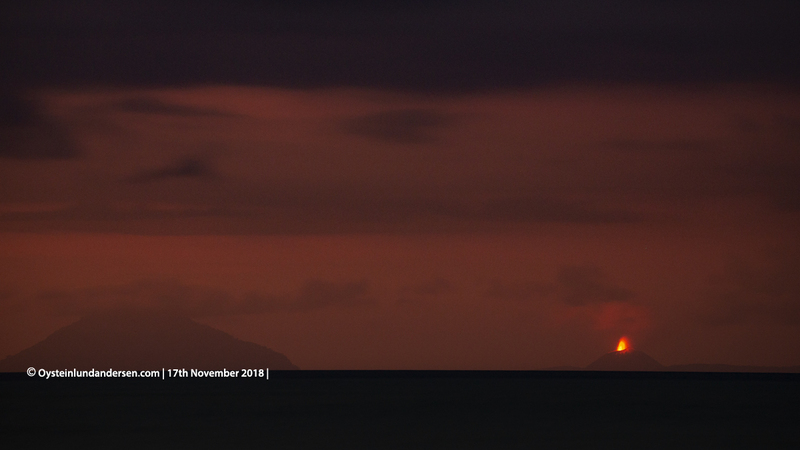 During my observations this time (17 November) no lava-flow that reached the ocean was observed. 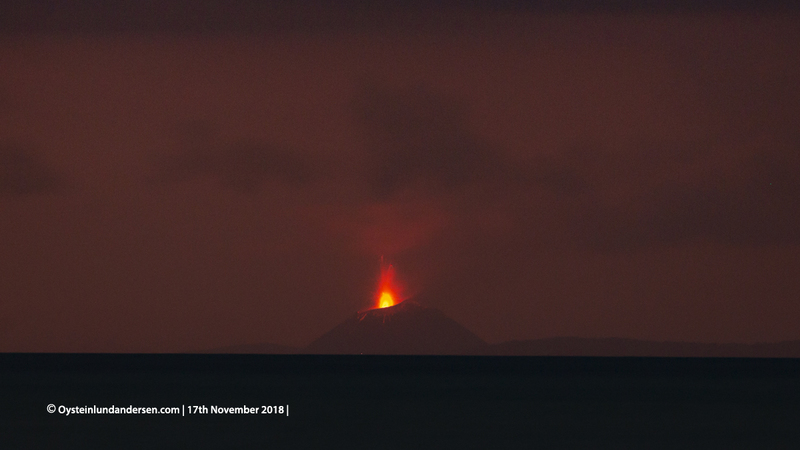 However it should be noted that after I left the area on the evening of the 17th November, activity continued, and from intitial reports it may seem like a new lava-flow was emplaced after I left, possibly on the 18th November. 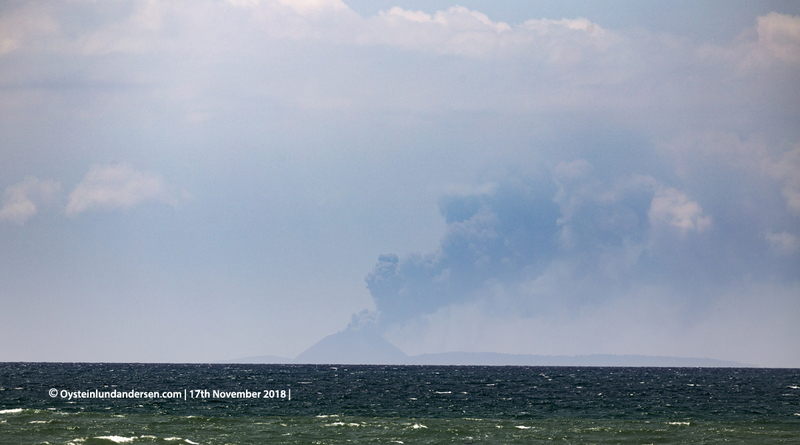 The restriction/danger zone for Anak-Krakatau is currently (as of 19th November 2018) at 2km from the summit-crater, recommended by the Indonesian `Center for Volcanology and Geological Hazard Mitigation`(PVMBG). 4. 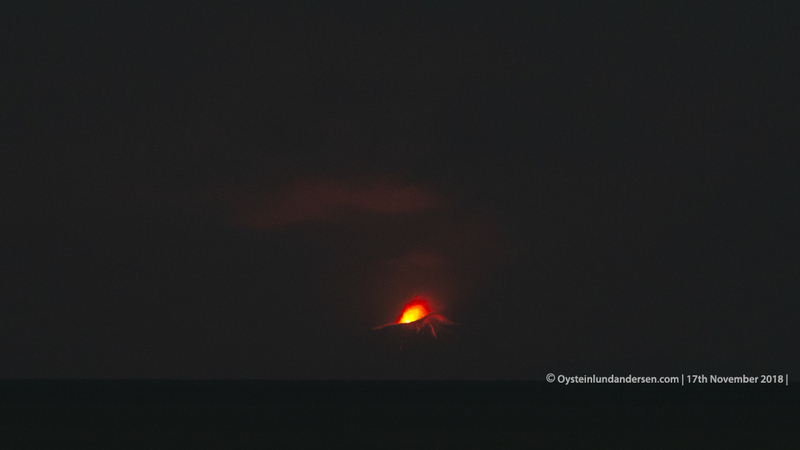 Later in the day at (12:55 local time) clarity became much better, and it was now obvious that Anak-Krakatau was sending out a contant grey plume, that looked ash-rich. 7. 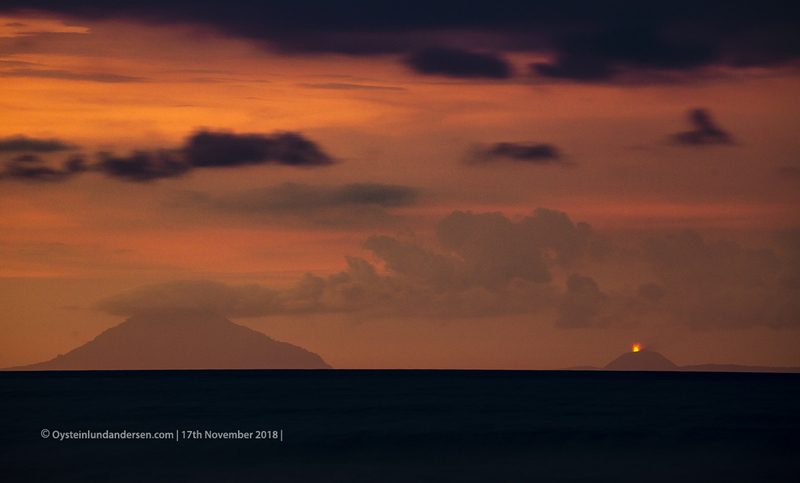 Anak-Krakatau with eruption plume and Rakata Isl. 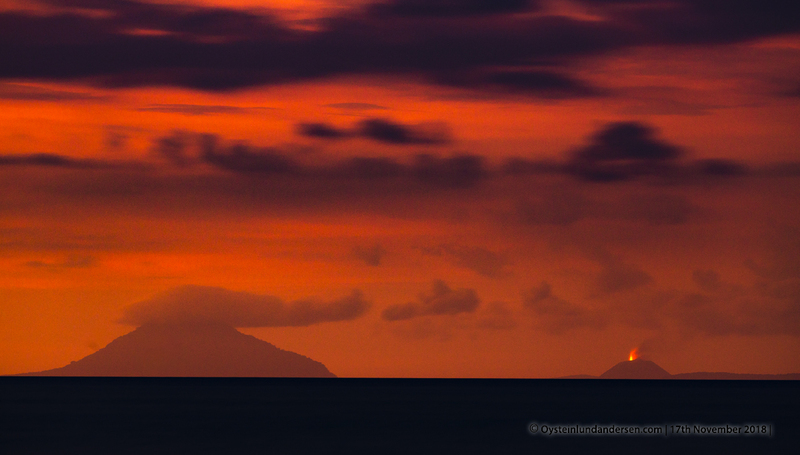 on the left at13:25 local time. 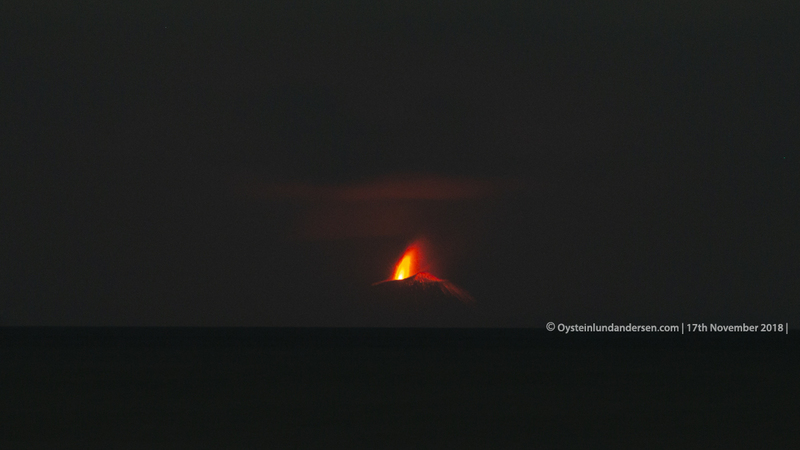 The plume from Anak-Krakatau looks to reach heights of around 1000m or more.